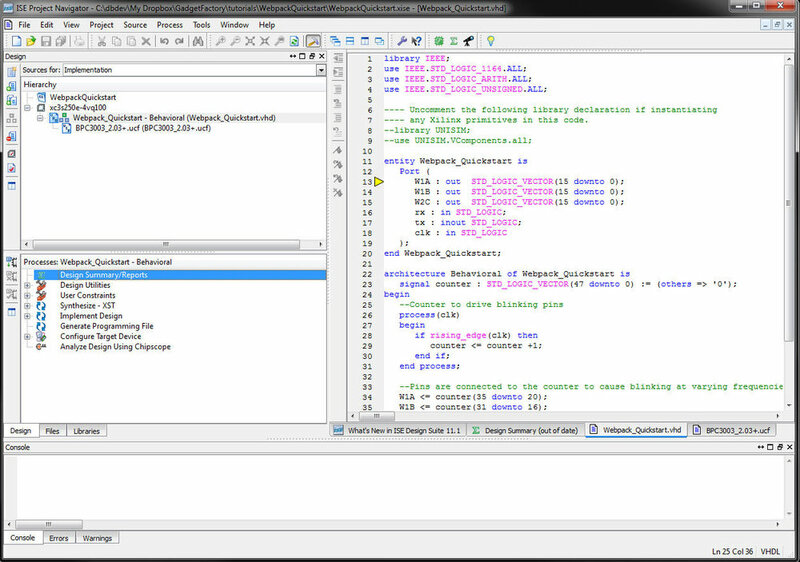 Lattice-Diamond is an FPGA design software for developers introduced by Lattice. It offers implementation tools optimized for cost sensitive, low-power Lattice semiconductor architectures. *FPGA: Integrated circuits designed to be configured by a customer or a designer after manufacturing. Diamond is an FPGA (integrated circuit boards) design software developed by Lattice Semiconductor. 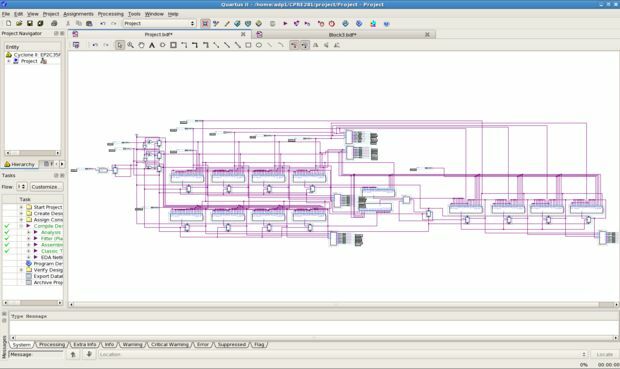 It offers implementation tools for engineers who design circuit boards and semiconductor architectures. In this two-month project, our team is challenged to redesign this software and brand it as the core product to increase our client's market chair. Luckily, I worked as the co-manager and UX Design Lead on the team, in charge of redesigning the interaction and user experience as well as coordinating the international design team. 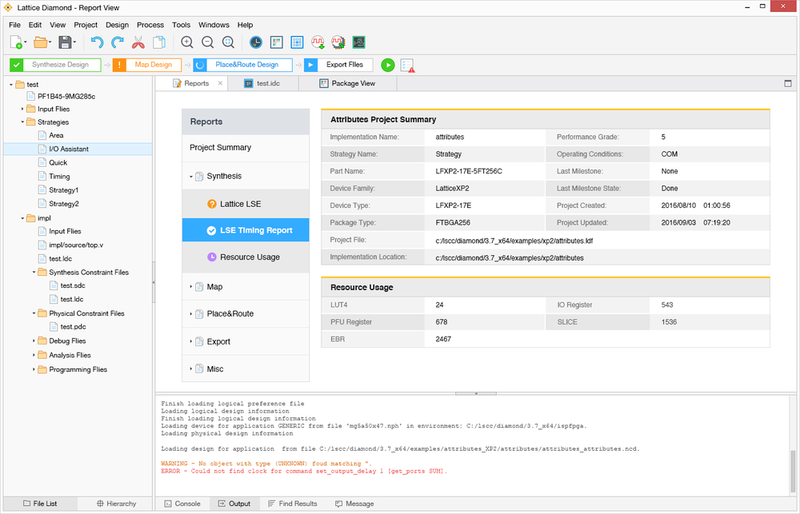 In this project, the users who we were designing for, namely, the engineers at Lattice Semiconductor, overlapped with the developers who would implement this software design. This necessitated us to strike a sweet balance in determining how much and when should they be engaged in the process. Designing for engineers with different mindsets and expert domain knowledge constituted the primary challenge for our team. Relating to that, we have observed their preference over the legacy UI features and their skepticism of “beautiful” interfaces. Also, the project involved both the Oregon and the Shanghai campus of Lattice Semiconductor, which increased the difficulty and cost for communication. Multiple stakeholders from marketing teams to VP have all particpated in this project, prompting us to be mindful of the business goal behind the project, which demanded design considerations on the commercial perspective. Through contextual inquiry and interviews, we identified the working style of the target user group in addition to their working environment. After spending time with them for 3 days, we discovered that most times, engineers work with computer eye strain for long hours, especially during the night. They would experience both mental and physical stress under such circumstances, struggling with the highly demanding and intellectual work. Like many other pain points, the engineers unconsciously accustomed to the fatigue without thinking much about how to eradicate it. To grasp a better understanding of the commercial competition, we compared Lattice-Diamond with 2 other leading FPGA services, Altera & Xilinx. These three products are believed to be the top 3 services in the pool. We adopted the SWOT analysis method to assess the entire product landscape have practiced holistic evaluation to uncover the UI quirks and inconsistencies. Overall, the old interfaces lacked clarity of information and consistency of visual design to support the intricate work of our target users. As a quick summary of ideation sessions, I encapsulated the aspects that necessitated improvements with corresponding design suggestions by categories in the following map. In addition, we also experimented with different visual styles, and presented two alternative sets of visuals for Lattice to pick. I volunteered to help Travis Day, the UI design lead, to work on his proposal, trying to learn from his expertise in crafting the visual and contributed to the interface design. Fortunately, our proposal got selected. Circuit board design could involve concurrent processing of multiple tasks with varying states. Informed by our primary research, the static images of the old signifiers for different states of a task like processing, failed and queueing were inconspicuous to users due to their familiarity. In particular, users reported that it was impossible to distinguish “main task failed” from “main task succeeded with sub task failed”. This made the work even more difficult when users were already having trouble to single out a task from other parallel tasks. Therefore, I, first of all, brought in colors to encode different tasks and added motions for each state signifiers to help users become more cognizant of what was happening with their design tasks. Similarly, I embedded a clean palette to denote different functional areas in the package view where engineers spend most time on to enhance their working efficiency. Taking in account accessibility design theories and the fatigue from working long hours, this color palette presented bright yet soft hues different from the main palette. During the design process, we worked collaboratively with James Khong, the product manager of Lattice-Diamond, and Ines Natale, the marketing VP at Lattice-Semiconductor and other stakeholders, to ensure our redesign met the branding need. Constantly, we are prompted to add more "Lattice" spice to the design. One proud design decision I made was to integrate trademarked symbols like the chip board pattern of Lattice subtly into the background, attempting to increase the visibility of the brand without visual noise. Also, knowing that the long working hours of users could extend into nights, to address their pain points uncovered in research, I proposed to include a night shift mode to help alleviate their stress in a darker environment. [Impact] After development, we conducted a benchmark testing of multiple FPGA design tasks to assess the usability of the Lattice-Diamond, which witnessed a growth of 37% in working efficiency of regular design tasks. Currently, Lattice-Diamond is open to public. [Key Takeaways] Looking back at the journey, I feel glad that I stretched myself a bit in this project by taking intiative to offer help for the UI design, even though it was not part of my written responsibility. Given the privilege to learn directly from the UI design lead who has 10+ years of visual design experience in the industry, I have greatly improved my visual skills. I got to observe how the UI designers approached a branding design task with their own philosophies and systematic methodologies. In general, this humbling experience enabled me to feel more confident about visual design for complicated systems.